Artisans and designers published their designs to enhance their reputations and to spread their influence beyond urban centers and national borders. Such publications have changed over time because of evolving styles, market forces, and technological advances. They document the designs of objects as well as the designs for ornamenting those objects. The designs for chairs, tables, and beds in this Belgian volume are among the earliest printed furniture patterns. 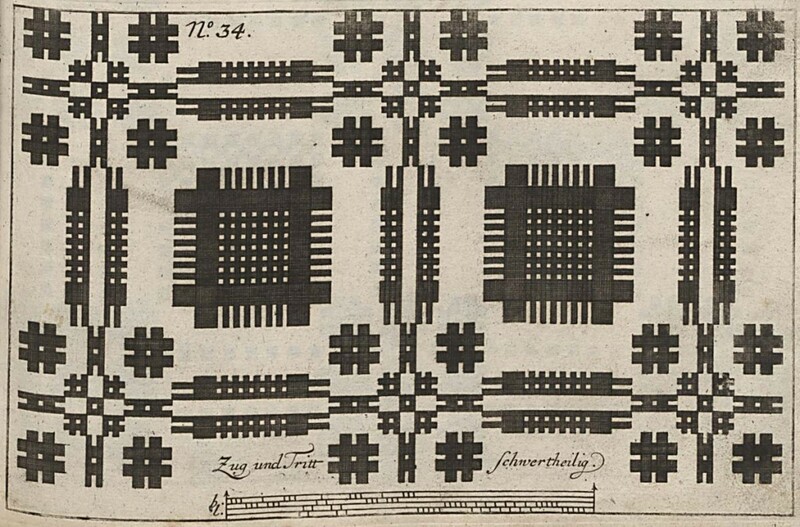 Vredeman de Vries’s designs were widely copied in many European countries and reappeared in New England in the 1600s. André-Charles Boulle was the royal cabinetmaker to Louis XIV and is known for his veneered furniture with tortoiseshell marquetry and gilded brass inlay. 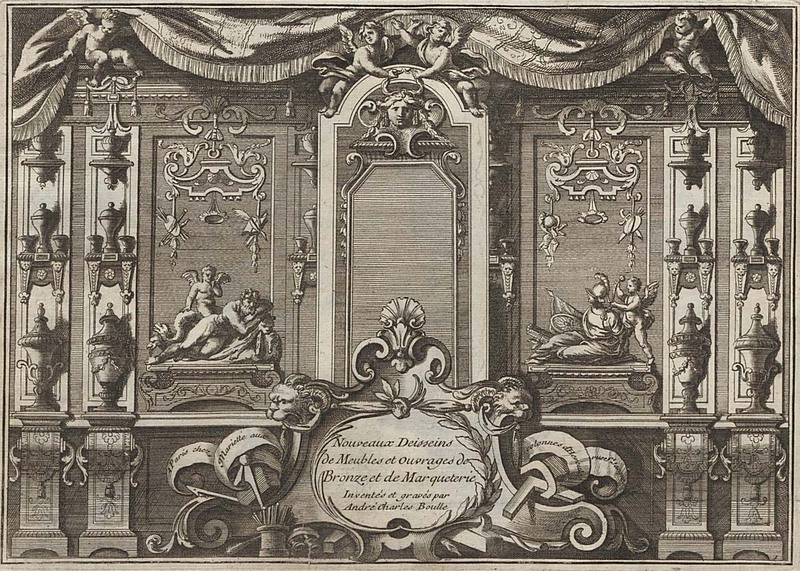 Boulle also executed the parquet floors and wall panels in the palace of Versailles. This folio contains elaborate designs for both furniture and bronzes. 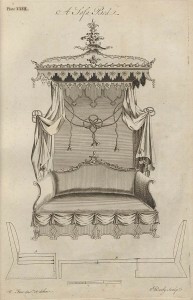 In the 1700s, the sofa bed was a portable and convertible piece of furniture. 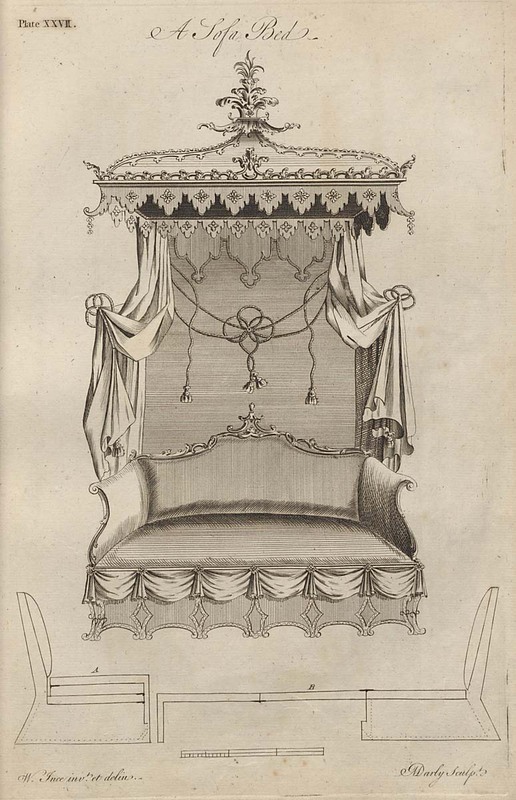 This Chippendale-style object combined the skills of cabinetmaker William Ince and upholsterer John Mayhew, who formed a partnership in England in 1759. 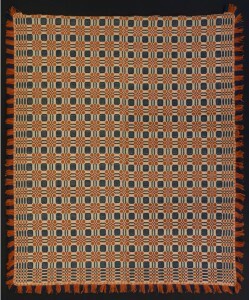 The professional weaver who produced this reversible, overshot-weave coverlet was undoubtedly inspired by traditional published designs. 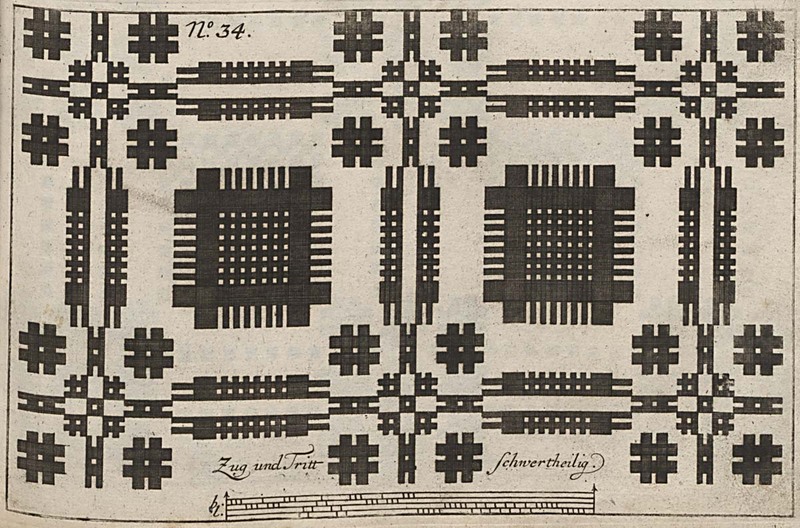 The influential German book of weaving patterns seen here was widely owned in America and was republished for several decades. 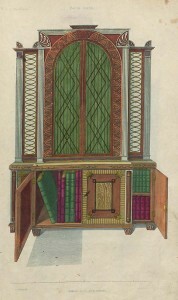 Thomas Sheraton’s command of classical influences in his furniture can be seen in this plate of a bookcase. The impact he had on furniture design was great in his own time and is still felt today. 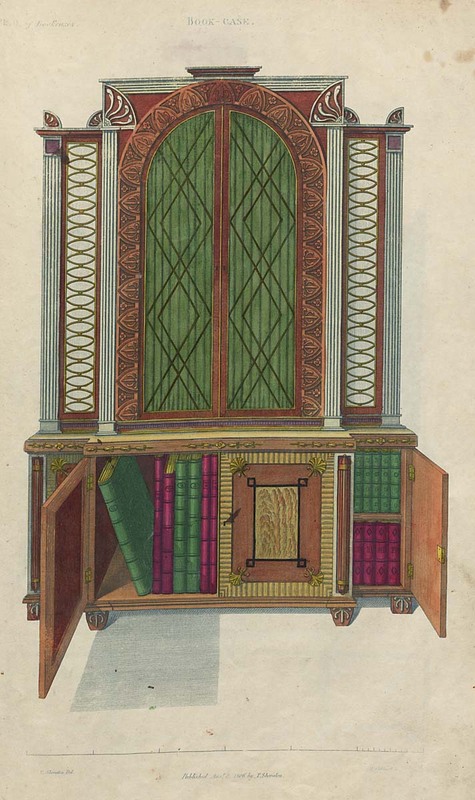 This Encyclopaedia was never completed, as Sheraton died in 1806. 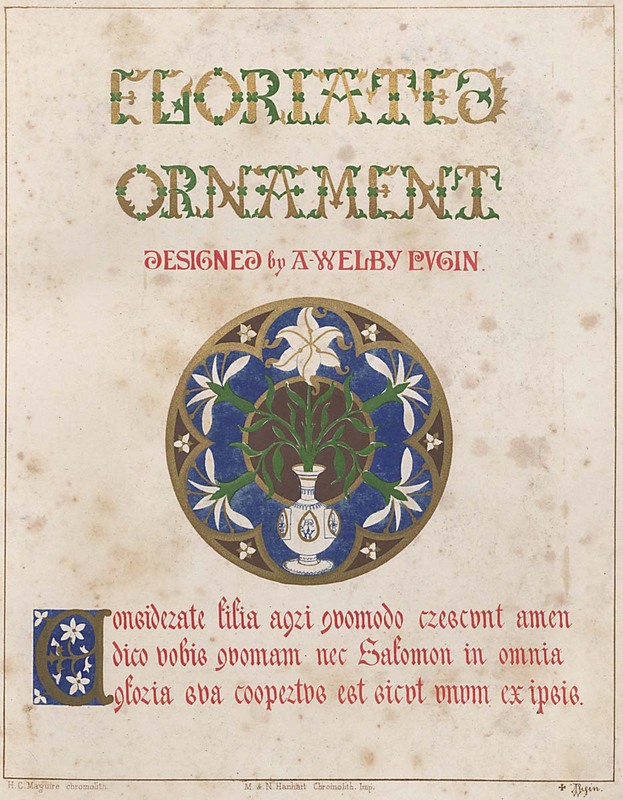 Augustus W. N. Pugin was a pioneer in the revival of the Gothic style in architecture and the decorative arts in the early half of the 1800s. His philosophy of handcraftsmanship and ornamentation to enhance but not overwhelm objects influenced the arts and crafts movement later in the century. 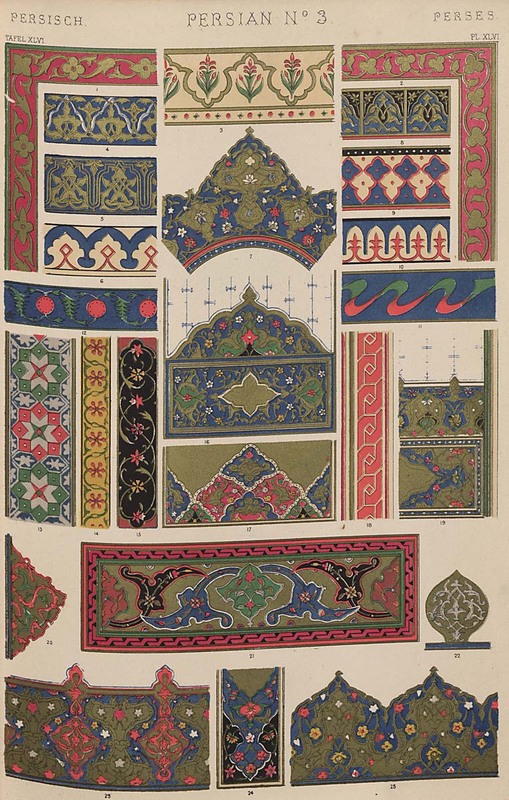 British architect and designer Owen Jones published The Grammar of Ornament containing designs taken from objects in the South Kensington Museum (now the Victoria & Albert Museum). 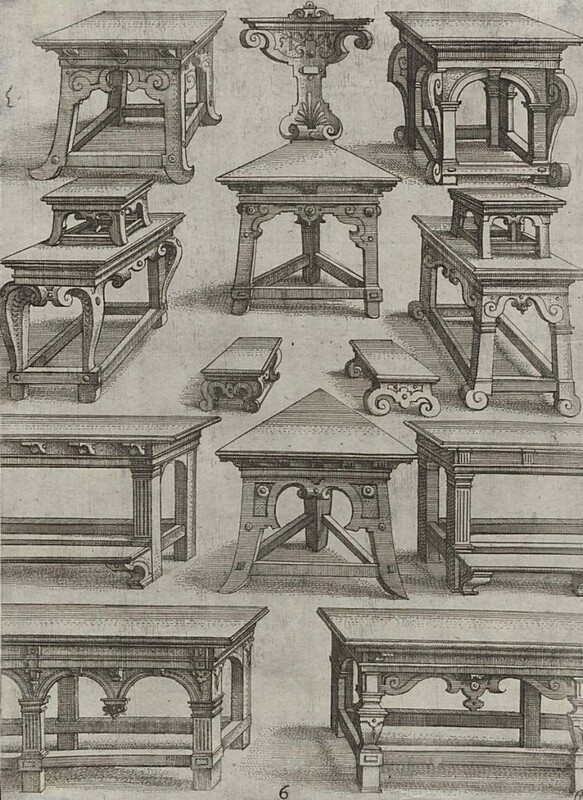 The volume of works from various historical periods was a good reference tool for decorators and designers. 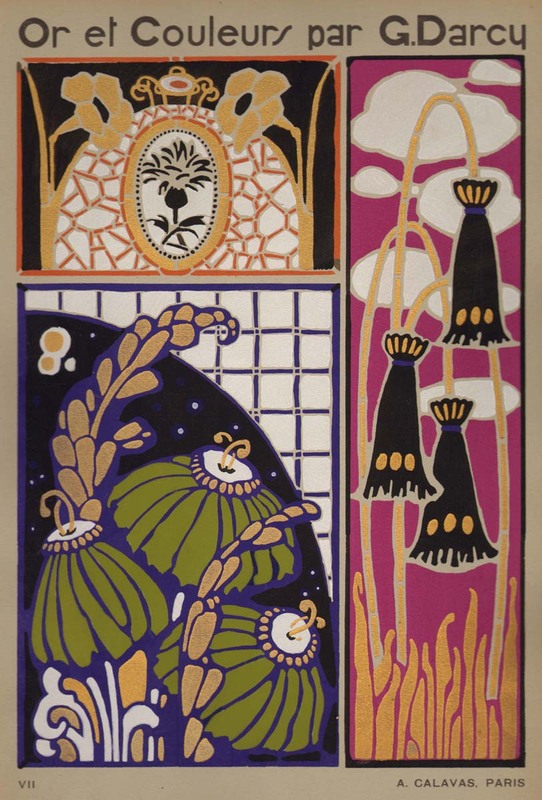 In the 1920s, the Librarie des Arts Décoratifs in Paris published Or et Couleurs and other folios of original designs of stylized flora and fauna in the newly popular art deco style. 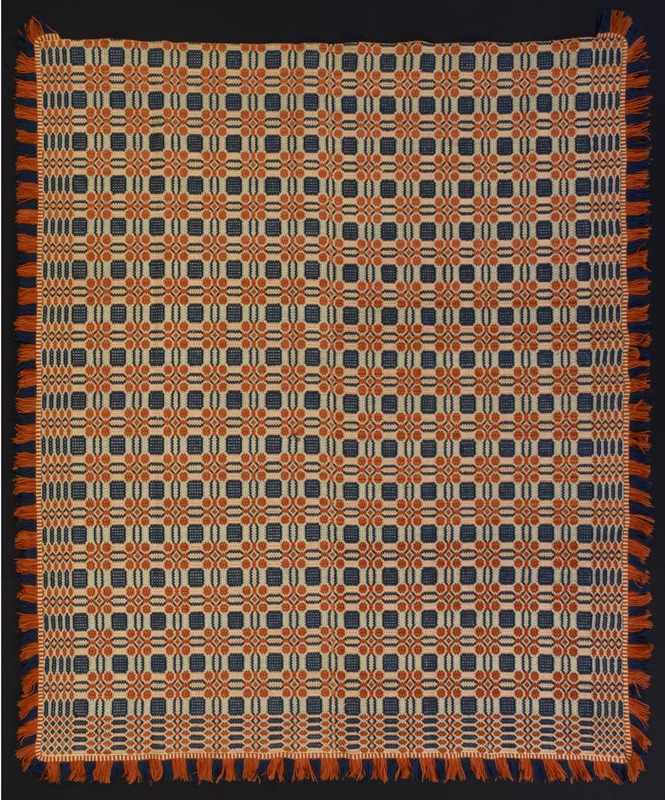 Decorators and artisans used these vibrantly colored designs when creating everything from wallpaper to jewelry to textiles.